It’s fitting that my newest book, Dreams of Dying, contains the word “dreams” in the title, because it was inspired by a vivid dream I had last November. In the dream, I was shown four pivotal scenes of a woman, who lost her family in a car crash. In every scene, Jesus accompanied and comforted her. I knew I’d write the story one day, but I wasn’t sure how the scenes would connect or how the story would end. That year, Christmas weekend was longer than usual. I had four days with nothing to do except open gifts and eat. By the second day, I wondered what to do with myself and began to write. The publisher has finally set the release date for early 2014. You can be a part of the book’s success by reviewing it on Amazon, Goodreads, etc., purchasing it, and letting your friends know you enjoyed reading it! To learn more about the book and keep abreast of events, new books and release dates, visit my author site. Ever wondered where you go at night when your mind sleeps? It has always been amazing to me that the need to sleep is so great that people will fall asleep while driving and flying planes. Why is this pull to sleep so great that is overcomes our need to survive? Science can’t answer why we sleep, although they do know of the physical changes that occur during sleep. According to experts, doctors and scientists don’t fully understand the importance of sleep. They do know that sleep is a building process that restores the body’s energy that are used during the day. During sleep the body does most of its repair work, and muscle tissue is rebuilt and restored. Science won’t figure out why we sleep because it involves our spirit. During sleep, our spirit is unhampered by our mind, and fully connects with the Spirit. This allows loving energy to flow in – healing our body, refreshing our mind and rejuvenating our soul. Dreams offer profound messages at just the right time. Their conceptual scenes give us insight into our unconscious, provide divine messages, and sometimes take us on voyages to other places and realms. I had a dream last month that affected me deeply, because it was so insightful. Plus, it featured one of my favorite authors, Eckhart Tolle. The dream starts with me in the kitchen of a large mansion in the middle of campus. It’s my home and I am waiting for husband and kids to get back from grocery shopping, so I can get ready for an event on campus. In the mean time, people keep accidentally walking into my home, because they think it is the event center. I keep redirecting them to correct building which is next door. When my family finally gets home, I rush upstairs to take a shower. When I come downstairs an hour later, the kitchen and living room are full of 40 people eating a fish dinner. I realized that I had forgotten to tell my husband that people were accidentally walking into our home instead of the event center next door. I found it strange that he fed them and asked him why. He said he didn’t know if they had come for one of my events or not and didn’t want to be rude, so he fed them. Next, we are at the campus event featuring Eckhart Tolle as the guest speaker. I noticed that we are sitting right behind him in the best seats in the house! I was told that since we helped feed his guests, we were given a place of honor. I felt that we didn’t deserve the seats, since our kindness had been more out of confusion than generosity, but was thrilled to be so close. As we sat there, I noticed a man dressed in a black suit sitting next to Eckhart Tolle. Suddenly, I realized that the Man in Black was the power behind Eckhart Tolle’s success and message. After the event, Eckhart Tolle and the Man in Black came up to me and my husband to thank us. While talking, the Man in Black said he wanted to give us a gift – the gift of enlightenment. He then grabbed my husband by his root chakra, infused him with energy and then my husband floated away. The Man in Black came towards me and I started to run away and yelled, “I’m not ready!” But he caught me and began infusing energy through my root chakra. I started to levitate and then everything went black. When I woke up, I felt as if it really happened. That I had received a divine message to let me know that my journey is on the right path. I thought about the interpretation and came up with this. The feeding of the strangers in our home showed how my husband helps me in many ways, even though he doesn’t believe as I do. So the fact that he does not understand the path I am on is not important. He helps me by programming my website, setting up chairs, and watching the kids while I go to a gathering. His help allows me to follow my path and enhances the experience (hence the great seats). The Man in Black is the Spirit talking through Eckhart Tolle. His black suit, as opposed to being a white suit, concerned me. But I think the blackness represented my fear of his power – the fear of losing myself when I surrendered. The relationship between the Man in Black (Spirit) and Eckhart Tolle showed what could be achieved when someone listens to the Spirit. Eckhart Tolle, has gone from being homeless to becoming a best-selling author and respected spiritual teacher worldwide (I highly recommend his books). The gift of enlightenment in the dream, shows that none of us can truly do anything to deserve it. We may be blessed for our efforts, but our efforts will always be less than perfect. Enlightenment will be ours simply because we are worthy. 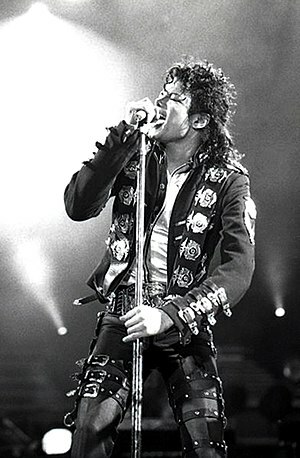 I had a dream last night about Michael Jackson after his death. He then strode up the aisle triumphantly, pushed through the double doors, and left the building. When I looked back, I saw Don King, Michael’s father and other men of prominence lying on the edge of the stage, sick and trembling with Michael’s mother standing over them. After the dream was over I thought about what I had seen…an overview of a life that was filled with great talent, but ultimately, one that had a much deeper and important role to play…his spiritual path. The dreamed showed him releasing his fears and dealing with the age-old struggle of following his heart versus doing what was expected of him from the society and those closest to him. Most important, I saw a man, who after his death, took a step back and looked at his life from a different perspective and chose to follow his heart.